Ibotta is one of the very few 'essential' apps you can use if you are serious with saving money on groceries. 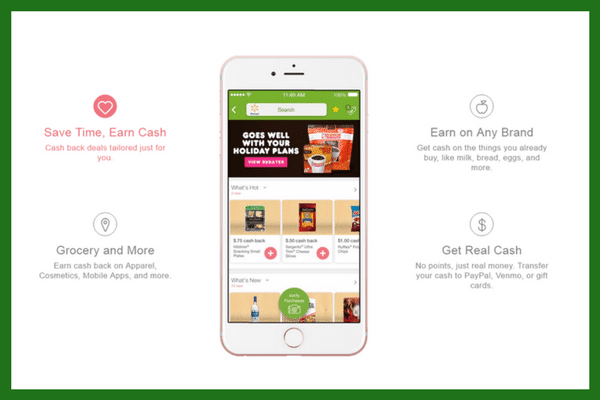 It will give you money back on just about any grocery purchases and give you extra money for meeting certain requirements. This isn't your typical Ibotta review. This is based on my personal experience using Ibotta. Updated April 30, 2018. 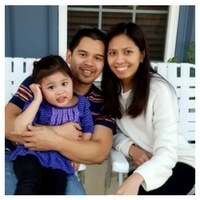 In 2013, my family and I moved to Maryland from Las Vegas to take a job promotion. We were hoping that this move would help us save more money since I was the only working. I thought a 15% pay increase would be more than enough for us to start again. Well, it wasn't the case. For six months, our grocery bill was over $500/month for the three of us. Mind you, it was only me, my wife and our less than a year-old daughter. I'll tell you that those 6 months felt like forever. I didn't know where to turn, who to turn to, and what to do to make ends meet. It was tough. For those who live on a single and low-income, it's very difficult to adjust when even one expense shoots up. Little by little, we tried everything and any grocery tricks. One thing I found that a lot of people are recommending was Ibotta. 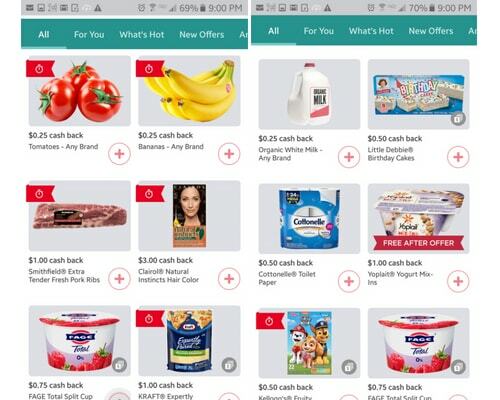 Ibotta is a FREE app that allows you to earn cash back or rewards from the item you purchase. 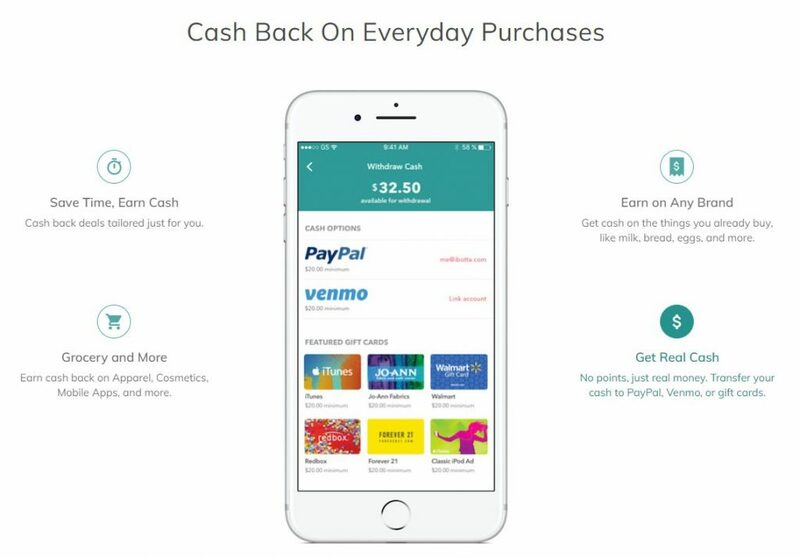 Remember that you get cash back when you buy the products that are in Ibotta. I wasn't exactly sure how this would work for us especially that we cook at home and I heard a lot of products in Ibotta were processed and not those produce ones. I chose to use it because I had seen a friend have some success with it, and the reviews online and informercials were just too darn convincing. 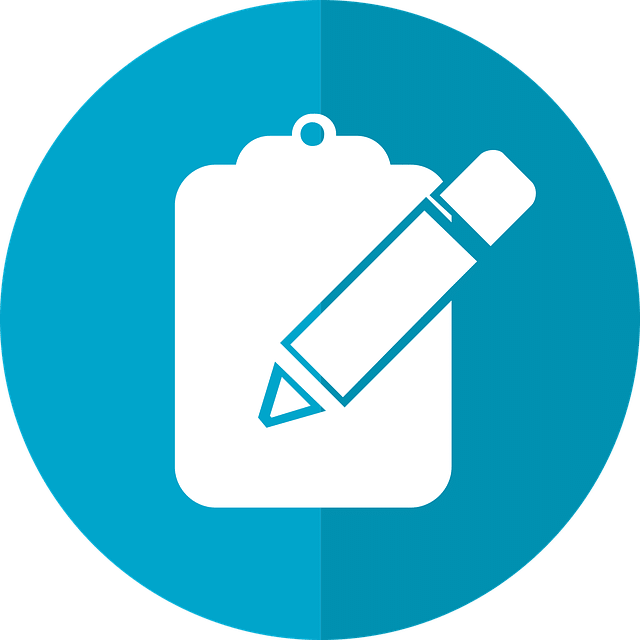 Before I started, I made a conscious decision to go all out with it – no what-ifs, buts, and everything else that would hinder my judgment on using the app. I declined my friend's offer to help me get the best out of Ibotta because if I invest my time in it without asking for the shortcuts, I would be more likely to look through all of its features, benefits, problems, etc. since I went all in. Right at the get-go, I was able to familiarize myself with the app within 15 minutes of browsing through it. The only thing I would have liked for the app to show is a guided tutorial that's automatic and would walk you through the app once you fire up the app. After 4 months, we made $383.25 from buying fresh produce (see image below). Imagine how much we'd get if we expand(ed) our food choices (see images for sample wide variety of products). Also, here are some products you can get that are eligible for cash back. Even the store brand ones are included. That's awesome because you could earn more money than what you paid for those items. Why? It's because store brand tend to cost way low. If you factor Ibotta savings, there's a good chance that your going to be the products free and get some money back. It has happened to us several times before. Getting started can be somewhat challenging when it comes to bonuses. I found myself chasing all the bonuses and meeting their requirements. It was exhausting. I learned to just focus on one bonus at a time since bonuses tend to be open for grabs within a month or two. I also learned that Ibotta can be a moneymaker. There were times when I received more Ibotta money than what I paid for products mentioned in the app. That's the reason that I got a lot back in a short time. Those are my experiences and thoughts about Ibotta. Ibotta, along with other products we used, has helped my family reduce our grocery budget down to $150/mo. Ibotta is one of the most popular money-saving, grocery apps out in the app world. It has been featured on Mashable, Today, Forbes, Good Morning America, and other media platforms. Its users have earned over $355,000,000 (as of this writing) in cash rewards. That's a lot of money. No wonder why this app is considered a five-star app based on over 50,000 app reviews. With Ibotta, you save money when you purchase specific products in Ibotta and scanning your receipts. It's as simple as that. If you sign up using this link, you will earn an extra $10 when you try Ibotta. Open the app. Browse through available rebates, unlocking any rebates for items you are going to buy. You unlock the rebates by tapping the plus sign. Shop at the stores indicated in Ibotta. Verify your receipt by taking a picture of it. You, then, get cash back. As simple as that. Does Ibotta app pay cash? The answer is a big yes. You can get real cash with Ibotta app. You can choose where your cash back is sent. Available payout methods are PayPal and Venmo. You can also exchange your cash for Amazon and Starbucks. 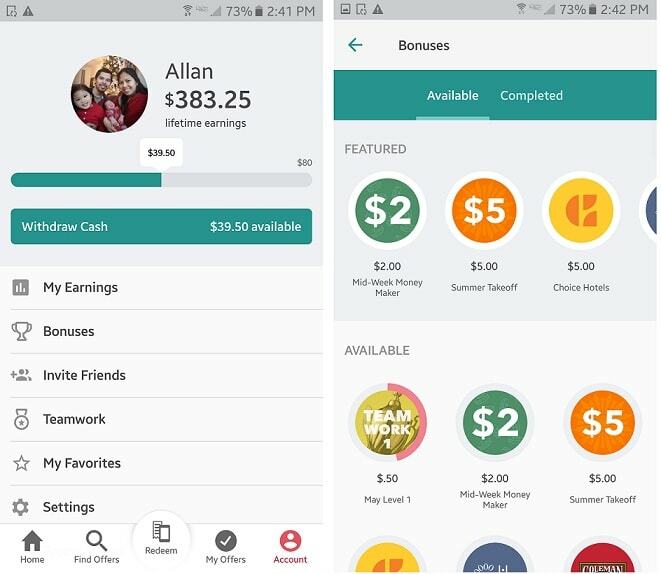 What are the ways to earn money from Ibotta? When Ibotta first started, the only way to earn cash was by sending receipt. Now, it added two more ways, which is beyond awesome. What stores can I go to use the App at? Some of the stores that can be found in the Ibotta app include, but are not limited to, the following. As of this writing, Ibotta support 287 stores and it adds stores week after week. Ibotta fake? Not at all. Is it perfect? Nothing is perfect. That said, it's a perfect product for someone who wants to save money without doing so much of heavy lifting and going through so many processes. There are rebates for healthy food. Many times, it is hard to find coupons for healthy foods. Most of the coupons out there are for processed and refrigerated foods. Ibotta has rebates for healthy food. Right now, while writing this Ibotta review, I am looking at over 10 healthy foods such as yogurt, string cheese, vegetables, and fruits. We buy healthy foods all the time. If we buy these foods, we would save $8 right away. Over a year, that's $416 in savings. There are flash sales. If you are in need to of buying products or services online and in need of using discounts, you can always check out Ibotta's flash sales. You'll be surprised that some of its discounts far exceed those provided by other websites and even retailers online. There are rebates for generic and store brands. When was the last time that you were able to use coupons for store brands? Maybe the answer is yesterday, a week ago, or a long a time ago. If you are a frugal person like me, I prefer buying generic or store brands because they are far cheaper and they serve the same purpose. Ibotta has rebates for those every week. There are rebates during the holidays. Shopping during the holidays or a big event can be expensive. Whether it's Easter season or Christmas season, you will find deals and discounts through Ibotta to help you save money. During the last Christmas season, I saw a “$10 rebate when you purchased at least 8 items” deal on Ibotta. Of course, I took that deal and saved $10. There are bonuses on top of rebates. Ibotta is the gift that keeps on giving. Ibotta has bonuses when you reach a certain level, when you buy specific products for a certain amount, etc. As of this writing (April 10), Ibotta has an April boost bonus, an Easter bonus, an April Level bonus, and others. That's truly potential free money on top of rebates. There is a temptation to buy other things. What are the dangers of Ibotta? Not a whole lot really. You may feel tempted to use Ibotta more especially when you see deals, discounts, and bonuses on top of rebates. This temptation can be more felt during holidays when Ibotta has a ton of products that you want to buy but not necessarily need to buy. I honestly love Ibotta. It's one of those apps that can help you save money. Ibotta is easy to use and is an app that you should have. Did I say that it's FREE? Just kidding. Here's an extreme couponer tip. 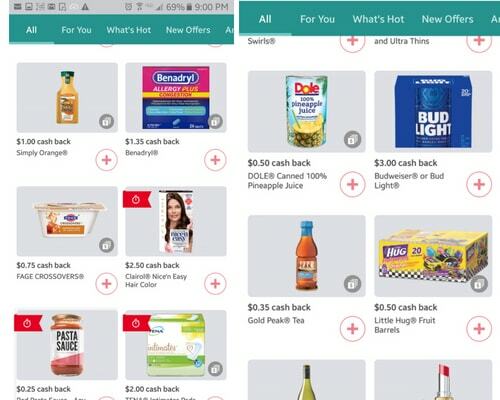 Use regular clipped coupons and Ibotta to save money or even earn more money than what you originally pay for the items you buy. Click here to sign up for Ibotta app and receive the $10 sign up bonus when you redeem your first brand name rebate within 7 days of registering an account. That is about it for my Ibotta review. Have you used Ibotta in the past? What has been your experience with Ibotta? Do you recommend it to other people?